BAGHDAD: Saddam Hussein's cousin, known as "Chemical Ali", was yesterday sentenced to death by hanging for masterminding genocide against Iraq's Kurds in the 1980s, an Iraqi court said. A tired-looking Ali Hassan Al-Majeed, wearing traditional Arab robes, trembled as the judge read the verdict, one witness said. As Majeed left the courtroom, he said: "Thanks be to God." Majeed, whose very name once sparked fear among Iraqis, directed a military campaign against the Kurdish north in which chemical weapons were used, villages demolished, agricultural lands destroyed and tens of thousands of people killed. The court also sentenced to death Saddam's defense minister, Sultan Hashim, and a former military commander for their roles in the campaign. Two other commanders received life in prison. 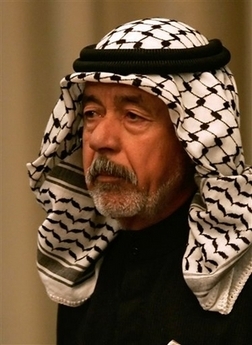 Charges were dropped against the former governor of Mosul. Kurds have long sought justice for the so-called Anfal or "Spoils of War" campaign that has left lasting scars on their mountainous region. Prosecutors say up to 180,000 people were killed in the seven-month "scorched-earth" operation in 1988. "You issued orders to troops to use all weapons including chemical weapons that killed thousands, displaced thousands and detained many who later died of hunger, torture and diseases. Many disappeared," judge Mohammed al-Uraibi told Majeed. "You committed crimes against humanity... You committed genocide. There are enough documents against you." Majeed, now in his mid-60s, admitted during the trial he ordered troops to execute Kurds who ignored orders to leave their villages but not to the use of poison gas. The defendants have said Anfal had legitimate military targets - Kurdish guerrillas who had sided with Iran during the last stage of the 1980-88 Iraq-Iran war. "We defended Iraq and we were not criminals," said Hussein Rashid, the Iraqi army's former deputy commander of operations, interrupting the judge as he read the verdict. He was also sentenced to death.